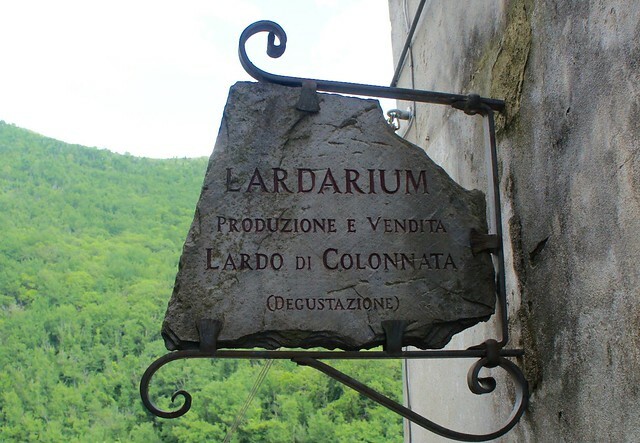 Named for the tiny and isolated mountain village where it is produced in Tuscany, Lardo di Colonnata has been a delicacy since Roman times. 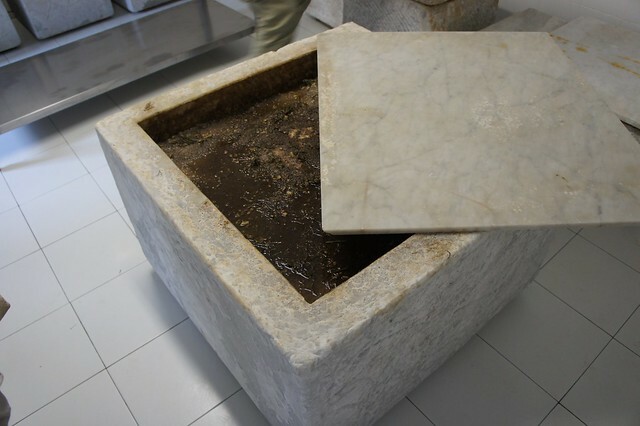 Thick slabs of fatback are carefully trimmed of all meat and then layered with salt flavored with pepper corns, cloves, cinnamon, coriander, sage, and rosemary inside marble troughs knowns as “conche” made exclusively from the marble from the nearby quarries of Carrara. 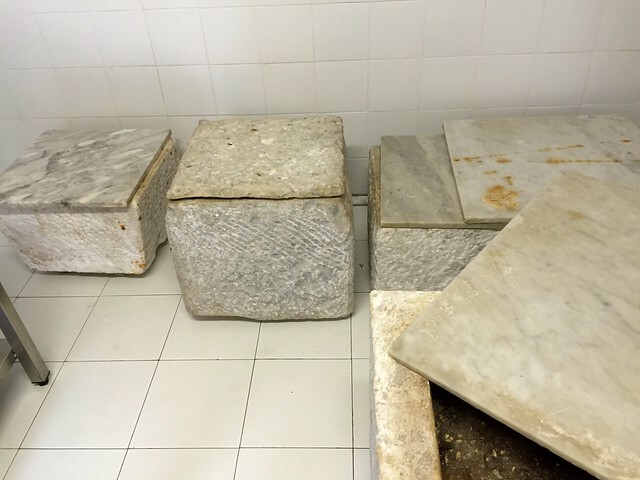 Though locals would once age their lardo in troughs carved directly in their cellars, current EU and IGP regulations call for a less rustic setup of marble conche in more sanitary, tiled rooms. 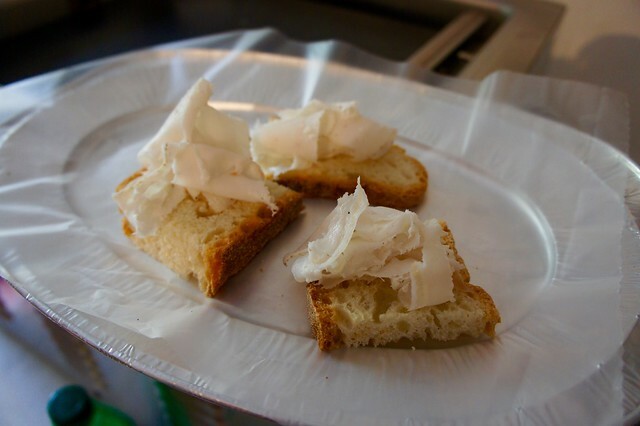 The fatback, which comes from pigs raised around Parma where the legs are used for the area's famed Prosciutto di Parma, is left to cure for six months (during the autumn and winter), the resulting perfectly white and aromatic lardo is then sliced paper thin and served on toasted bread, still hot enough to soften the lardo to the perfect buttery consistency, the trimmings used to flavor soups, and the herbed salt for roasted potatoes. 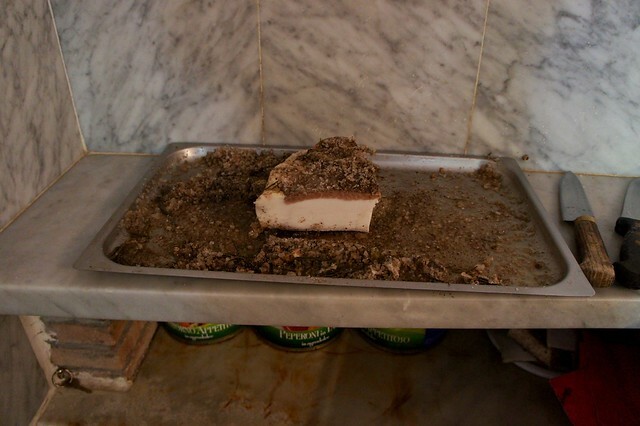 Lardo di Colonnata, like most of Italy's best food and wine, is deeply tied to the exact location where it is made. From local marble used to make the conche, to the alpine microclimate, to the wild herbs found in the surrounding countryside and the exotic spices once brought by traders to the Tuscan coast...only this perfect combination of nature and history could have resulted in such a deceivingly simply yet utterly divine delicacy.